Packard introduced the John Reinhart-designed 24th Series Patrician 400 sedan in August 1950 as the top-of-the-line Custom Eight replacement. The car was a departure for Packard, utilizing a “three-box” shape that was much more contemporary and modern looking. The Patrician still used a nine-main-bearing, straight-eight flathead engine, now displacing 327 cid instead of 356, and producing 155 hp. All Patricians were equipped with Packard’s own Ultramatic automatic transmission. On the outside, the Patrician was fitted with a cormorant hood ornament, lots of chrome trim along the side, “teeth” in the horizontal grille, and cloisonne hubcap centers. The 1952 Packard Patrician was virtually the same as the previous year, with only small visual modifications transpiring. This was also the case for 1953, as minor changes to the grille and side trim were the biggest exterior changeups. More importantly, the Patrician 400 series was expanded in 1953 with expensive long-wheelbase custom sedans and limousines. The Derham-built formal sedan cost $6,531 against the base Patrician’s $3,735, while the long-wheelbase eight-passenger executive sedan by Henney cost $6,900 and the corporate limousine cost $7,100. Sales were minimal: 25 Derham sedans, 100 Henney executive sedans, and 50 corporate limousines. Meanwhile 7,465 Patricians found buyers. The 1954 model year saw the end of the basic 24th Series shape, and the Packard marque was being divided into Packard and Clipper lines. The Henney limousine and executive sedan were continued and the Patrician sedan was now called the Patrician Custom. A total of 2,760 Custom sedans were sold, 65 Henney executive sedans, and 35 limousines. This was the last year for the straight eight. Packard tried to right the ship in 1955 with an elegant redesign of the Patrician, new 320- and 352-cid V-8 engines, and self-leveling torsion-bar suspension on the top models. The bodies were handsome, with full-wide grilles, sweep-around windshields, cathedral taillights, and side trim which permitted tri-color paint schemes. The new mechanicals , however, were rushed into production and oil pump problems and torsion-bar issues would cost the company dearly. Negative publicity and poor customer experiences hamstrung the company’s sales efforts for the remainder of its existence. The 1956 Packards’ engine ills had been ironed out, but it was too late, and Curtiss-Wright shifted production to sister company Studebaker’s South Bend factory, essentially treating Packard as a tax write-off. There would be no more big Packards after 1956, just badge-engineered Studebakers, and even those stopped appearing following the 1958 model year. The Packard Patrician today carries the distinction of being one of the last top-level Packards built. The cars are fairly rare, and handsome as well. 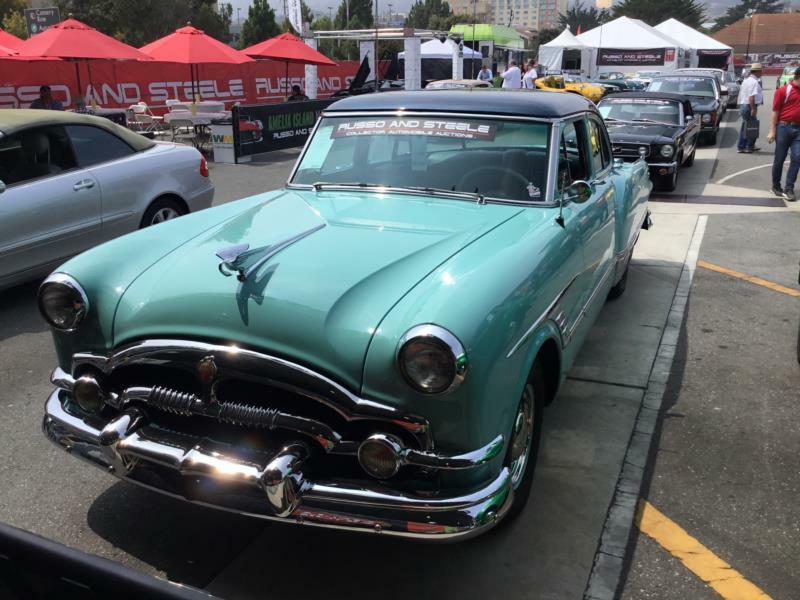 The 1955 cars are generally the least expensive due to their mechanical troubles, with the 1956 cars being good choices due to their extra power. Any car in “Easter egg” colors can carry a premium, and overall build quality on these cars is very high. Trim, though, can be difficult to locate, and club support for later Packards is not on par with earlier cars, so new owners should be aware that they may not find a lot of support. Regardless, the cars are still eye-catching, and fun to drive.